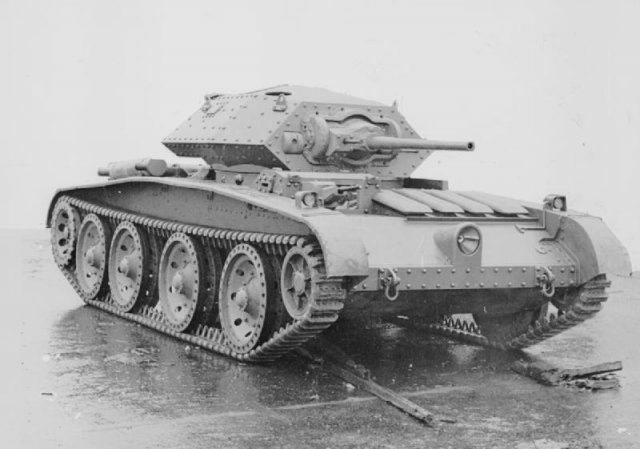 In 1938, the War Office issued a requirement for a new cruiser tank, intended to be a lighter and cheaper version of the Mark III which was in production. In 1939, this became the official A13 Mk.III, Cruiser Mark V program. It had to be developed nearly from scratch, with Christie suspension, a lower-height hull, the standard QF 2 pounder gun (40 mm/1.57 in), a machine-gun and an epicyclic steering transmission. Most importantly, the armor was meant to be uniform, with 30 mm (1.2 in) effective thickness, with sloped plates possibly being thinner. Quite quickly it was shown that cranked arms and a low profile engine were also necessary. The specification also added that the engine should be capable of a minimal 300 hp output. Among other companies, London, Midland and Scottish Railway Company (LMS) was contacted in order to accustom them to AFV production in case of war. With no previous experience designing tanks, they associated themselves with Nuffield for the turret, and Meadows for the engine. The Mark V was the first cruiser to be named. “Covenanter” was named after XVIIth century Scottish Covenanters, a religious faction that fought against King Charles I in the Mid-1600s English Civil War. The “C” became customary for cruisers. The tradition stuck so well that it survived until today’s British MBTs. On April 17, 1939, 100 were ordered, straight from the drawing board. LMS choose to make a welded hull to save weight, a real improvement over previous designs. Armor was sloped on the front and rear decks, and quite low. Indeed, the central superstructure barely emerged over the lower hull, covered by the mudguards, which had a characteristic shape, higher in the middle. The Nuffield turret was well sloped but still riveted. The Meadows engine received a Wilson transmission and the steering of the A16. The Meadows was a horizontally opposed 12-cylinder petrol engine, flat, wide, but with no room left for the radiators, which had to be relocated elsewhere, on the front of the vehicle. This unusual feature itself, born from a rushed design, will doom the career of the Covenanter. Within the production run, corrections were made to improve engine cooling but proved only marginally effective. The first pilots were to be tested at the same time as the production was running, and it was hoped to apply modifications on the fly. The pilot model passed all tests successfully in early 1940, but deliveries started only in May 1940. Early during production, LMS emitted doubt about the strength of the two-layered welded armor plates, and the construction reverted to a riveted design while keeping this two-layered arrangement. For the wheels, aluminum was at first envisioned, but, due to war priorities for the aircraft industry, this was reverted back to steel. An army requirement asked for a frontal increase of armor to 40 mm (1.6 in). These raised the overall weight and suspension overload, leaving no room for further improvements. The transmission was also reverted to the A13 “crash” gearbox with epicyclic steering units. 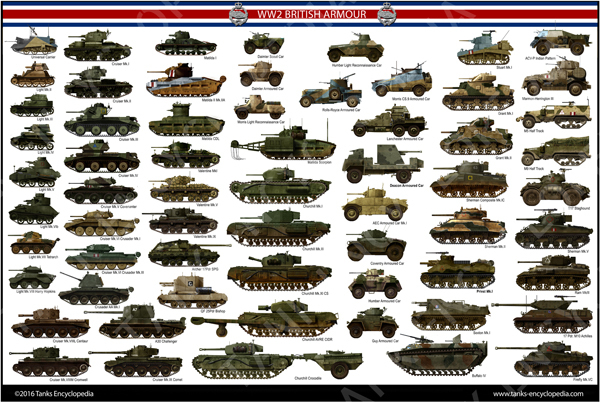 Production was also assumed by English Electric and Leyland Motors, and reached 1771 tanks by the end of 1941. 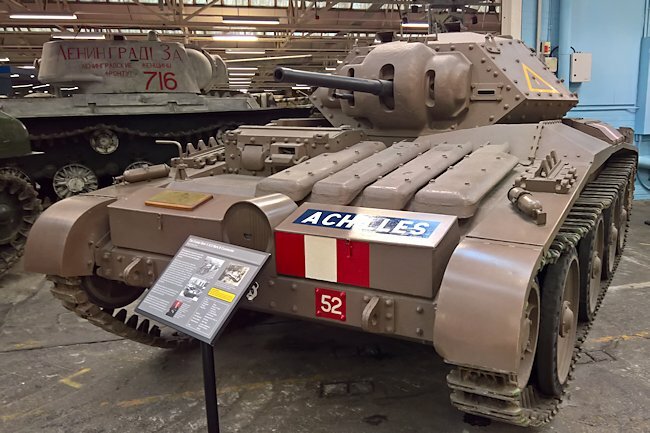 At the same time, Nuffield declined to take part in the production, and started working on its own interpretation of the new A13 Mark III design, which would lead to the famous Cruiser Mark VI “Crusader”. The Mark I was at first manufactured with a welded hull, aluminum roadwheels and other details from the pilot. But it soon reverted to the use of the Cruiser Mark IV‘s steel roadwheels. A close support Mark I CS was derived, with a 3-inch (76.2 mm) howitzer to fire smoke rounds (and a few HE rounds in store). During production, the series reverted to a riveted hull. The Mark II differed by a radiator-mounted oil cooler and revised metal roadwheels. A close support Mk.II CS was derived, as well as an observation version equipped with two No.19 radios, with or without one No.18 radio and a dummy gun, for artillery spotting. This late production (1941-42) model had twin oil coolers installed around the engine, the clutch linkage modified and air cleaners installed at the rear. The exhaust silencers were also moved to the ends of the track guards. A close support Mk.III CS was also derived. These were Mk.IIs upgraded to the clutch arrangement of the Mk.III. A close support and an observation model were derived from it. 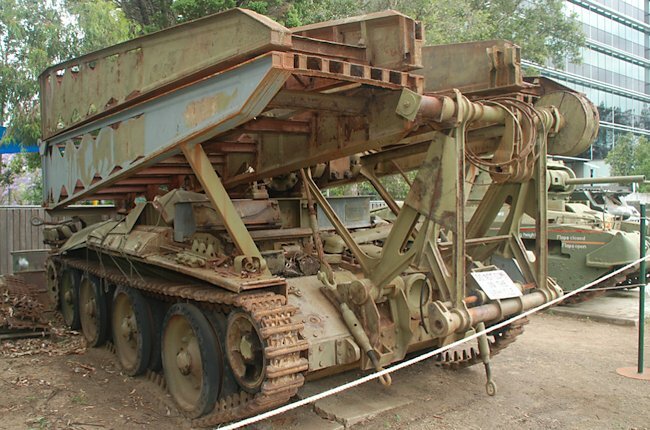 The main engineering variant, with a turretless and modified hull, carrying the 30 ft No.1 bridge (34 feet/10 m long span), capable of handling a 24-ton load and later 30 tons. It was widely used by the British, Canadian and Polish troops in Europe until the end of the war. A recovery variant prototype (ARV Mk.I) and a mine-roller variant (AMRA Mk.IC) were also tried. 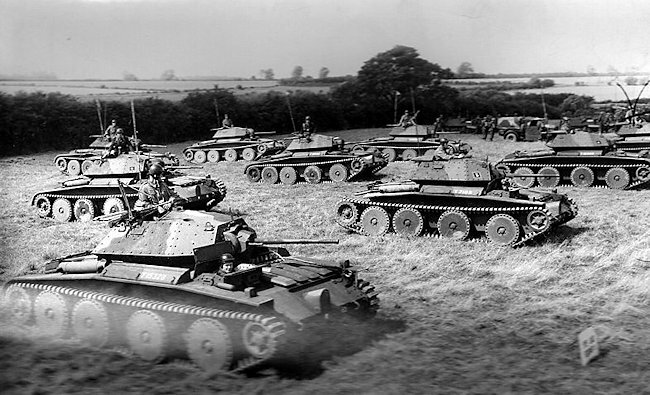 Covenanter tank squadron during a training exercise in England during WW2. Due to engine overheating and fighting compartment ventilation problems, the Covenanter was never sent abroad, where other models were first blooded, in the North African campaign. Instead, all production vehicles were used exclusively for training in the British Isles. 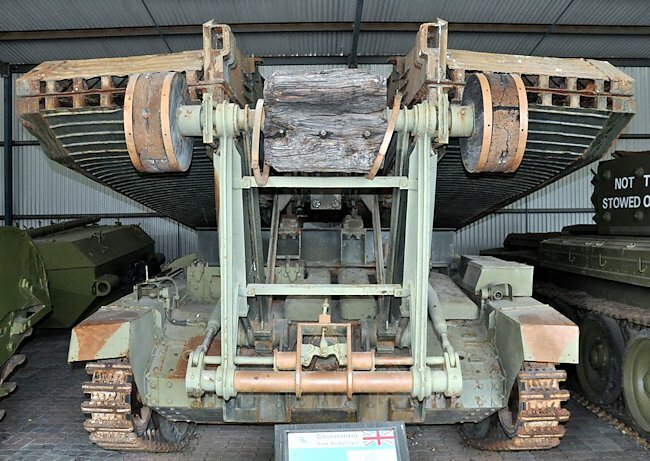 It was first given to the reconstructed British 1st Armoured Division, a shadow of its former self, after losing all its equipment in and around Dunkirk. 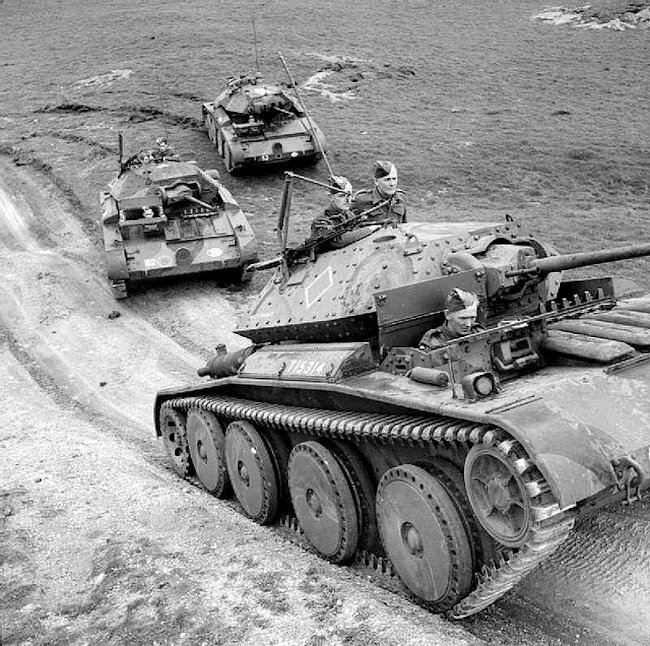 After that, they were transferred to the 9th Armoured Division, when the 1st was transferred to North Africa. 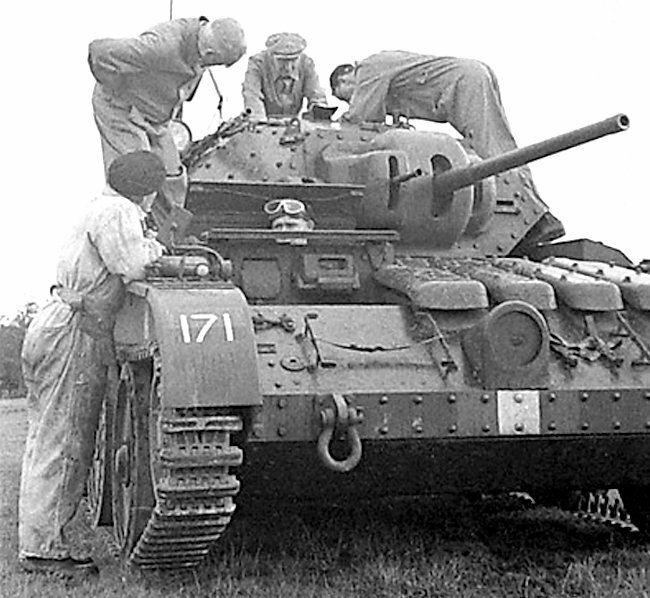 However, a small batch of Covenanters saw the light of Africa with the REME (Royal Electrical and Mechanical Engineers) for maintenance and evaluation, and according to photos, possibly saw action with the King’s Force’s Churchills Mark III. 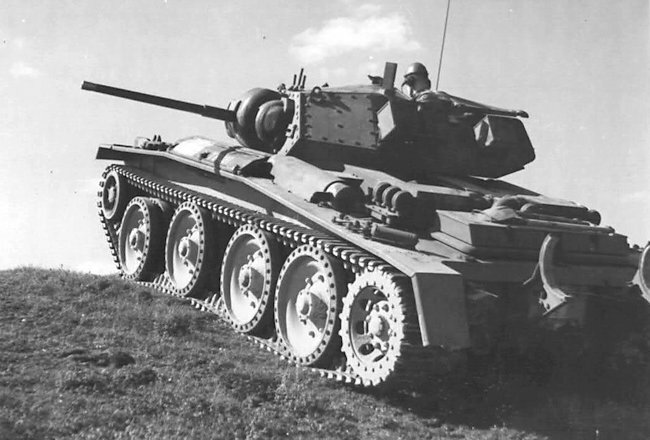 The Covenanter also equipped the Guards Armoured Division and part of the 1st Polish Armoured Division, for training in Great Britain in 1942-43. For the anecdote, the only Covenanter to be destroyed by enemy action was stationed at Canterbury during an air raid from the Luftwaffe on May 1942. By 1943, poor protection and armament led the general Staff to declare the model obsolete, and all Covenanters were scrapped en masse, with the exception of the Covenanters converted as Bridgelayers. The latter saw action in Belgium and the Netherlands in 1944. Covenanter Mark I, early production version, summer 1940. Covenanter with a brown livery, 18th Hussars, 9th Armoured Division, 1941-42. Covenanter Mk.III in North Africa, King’s force, fall 1942. Covenanter Mark III, late production version, 9th Armoured Division, 1943. 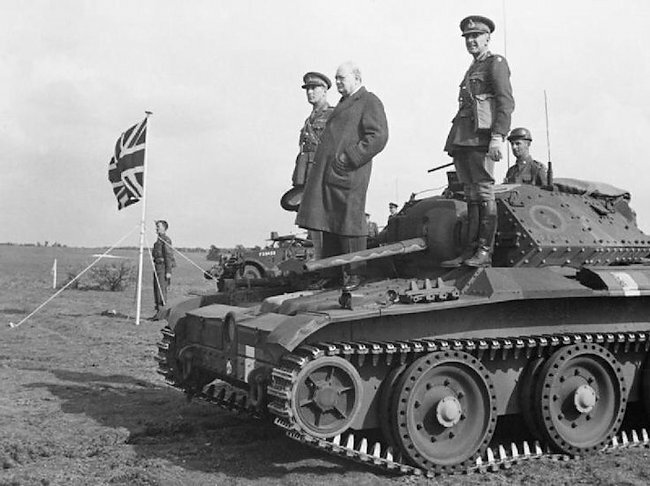 Prime Minister Winston Churchill standing on top of a Covenanter tank. Covenanter A13 Cruiser tank with mechanical problems. A common sight. A Covenanter tank on a training exercise in Britain during WW2. For the last segment there is a typo error I think .It states “cruiser M.K. IV in action”, I believe it should be the Cruiser M.K V.
Spotted and fixed, thanks ! Great article, but one glaring issue. You refer to the London, Midland and Scottish Railway as LSMR. The correct initialization should be LMS, which is what the railway company called itself.